Chantal Berna, Siri Leknes and colleagues tested two approaches toward modulating pain perception. For a mental imagery task, healthy men and women were instructed to imagine individually calibrated heat pain applied to their forearm as a pleasant experience, for example by thinking about warming up by a fire after coming in from the cold. 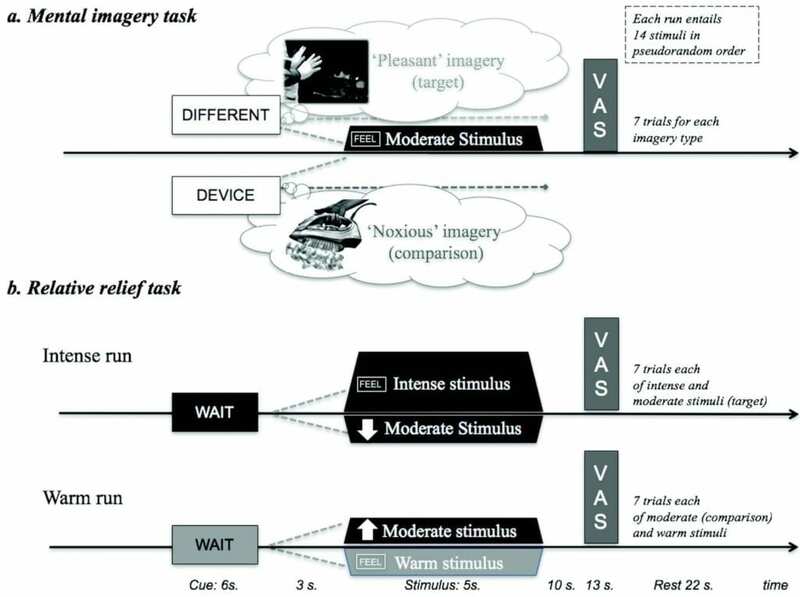 A relative relief task used visual cues to manipulate participants' expectations about the forthcoming heat pain. Although both tasks made the pain experience more pleasant, only the effects of the relative relief task were blocked by naloxone — the life-saving drug used to treat opioid overdose. Mental imagery was unaffected by naloxone, indicating that this approach works through opioid-independent mechanisms.